So... having never done one of these before, I'm going to create a schedule that will probably be altered a few times. I made a lot of categories because I'm assuming that will be helpful, but let me know if you want to see less. Or more! If you notice something that's missing, let me know so I can add it! Just a note: I tend not to make muslins because I like to wing everything (and not spend time and money), but I certainly encourage the making of muslins for those who want everything to be perfect. I'm all about saving money at this point in my life so I'm going to be using patterns from my stash. For the top I'm adapting Vogue 9810 version C and for the bottom I'm using Butterick B5708. Alice at Heteronormative Lovefest recommended the 1202 Cambie dress, which is just darling, and it seems like an excellent option. As I mentioned in the original post, I'm not so sure I want another bright red dress so mine will probably be a different color. I haven't checked prices yet, but in my head I'm assuming white lace is the cheapest so I'm probably going to get that and dye it. The dates are approximate! I will do my best to get the posts up that week so if you don't see them that day, I'm sure they will appear shortly. 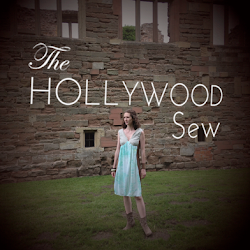 So hopefully we'll have a new dress by the end of March, just in time for spring! I'm trying to figure out how to make badges now so you can have post them on your blogs! 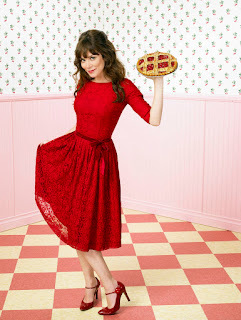 Also, if you make any Pushing Daisies dress, not just the red one I'm focusing on, please send it in because I would LOVE to see it and feature it with everything else! I'm planning a 'inspired by' dress, rather than the red one, so will send you a pic! Just need to start with my fabric stash and go from there. Yes, I love those dresses too! She has so many great ones, it was really hard to choose just one to work on first. Please let me know if/when you make them because I would love to see!